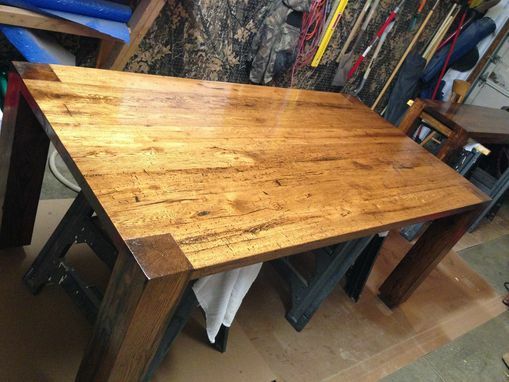 Reclaimed oak table and bench with custom stain. Has 5''x5'' legs with the tops exposed and epoxy filled imperfections leaving a smooth surface while still revealing all the character and allows for easy cleaning. 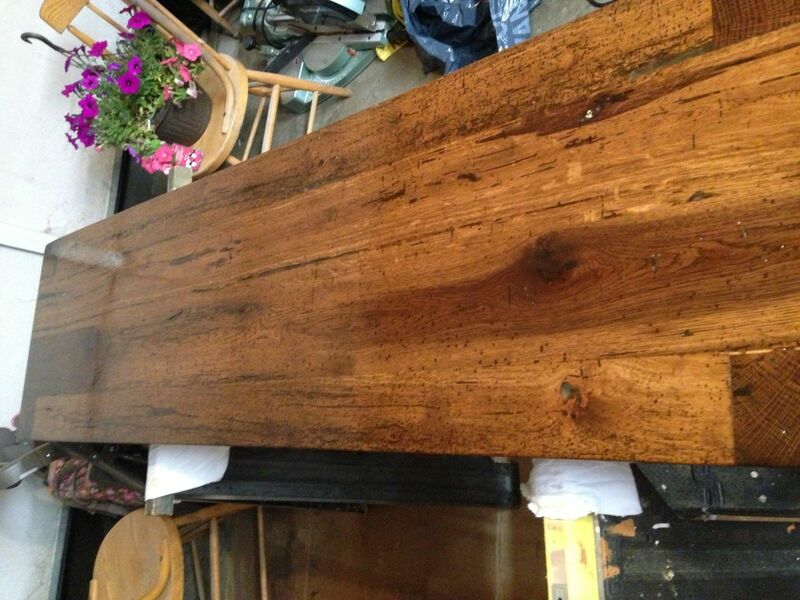 Custom sizes, finishes and designs can be made available.